Microsoft Edge gives you a lot of control over how it stores your history. You can choose to browse privately, you can delete the entire browsing history when you would like to do so, or you can elect to delete individual pages from your browsing history as instead. Our tutorial below will show you how to perform the last of these options so that you can choose to delete some pages from your history, but keep others. The steps in this article were performed on an iPhone 7 Plus in iOS 11.2.2. 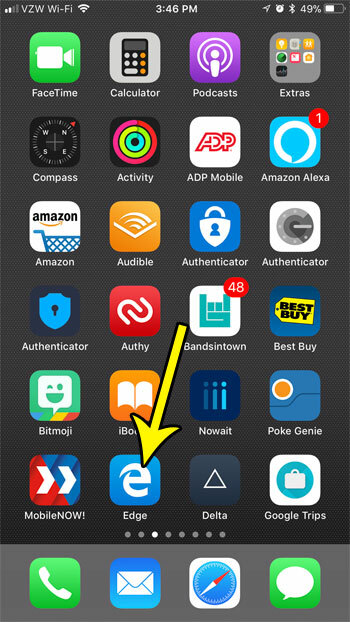 The version of the app being used was the most current version available when the article was written. Note that this will only delete a single instance of the page from your history. It will not also delete other instances of that page as well. 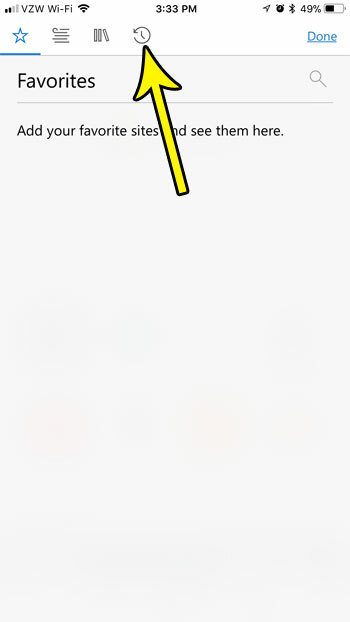 Step 2: Touch the star icon at the top-right of the screen. Step 3: Select the History tab (the one with the clock on it) at the top of the screen. Step 4: Swipe left on the page in your history that you want to delete. 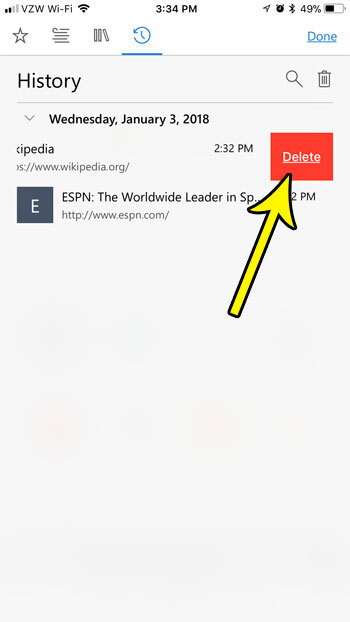 Step 5: Tap the red Delete button to remove the page from the history. 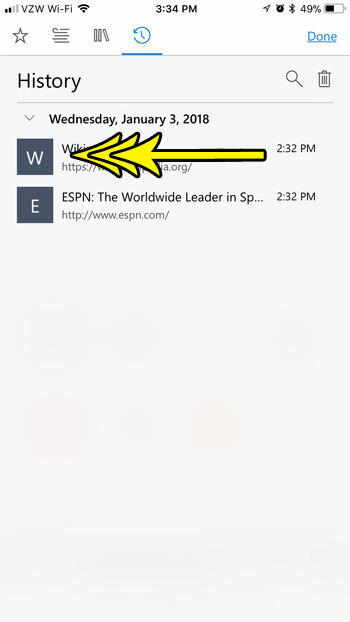 If you would rather simply delete the entire browsing history from the Edge app, tap the trash can icon instead. Would you rather use a different search engine when you type a search term into the address bar at the top of Edge? 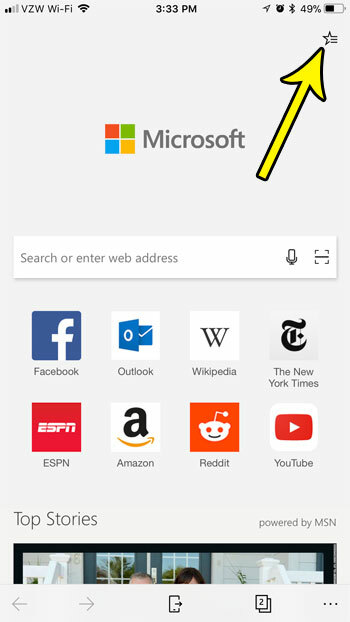 Find out how to change the default search engine in the Edge iPhone app if you would rather use Google or something other than what is currently being used.